Rated 1 out of 5 by Mazzuca78 from Really bad color I bought this today and was so excited to dye my hair, the color turned out red and not burgundy. I am so very disappointed. Rated 1 out of 5 by jdb2000 from Terrible! I just bought this 3.26 because my regular Garnier Nutrisse 42 was no longer at my store. They are both a Garnier product and both are deep burgandy so I thought I would give it a try. Bad mistake! I absolutely love my 42 and the Garnier Nutrisse brand. I hate (and that is a strong word for me) the Color Sensation! Very low quality. Made my hair feel like straw and I had to use my own conditioner after the after conditioner provided to get my hair feeling like hair! And the color! More brown than purpley. 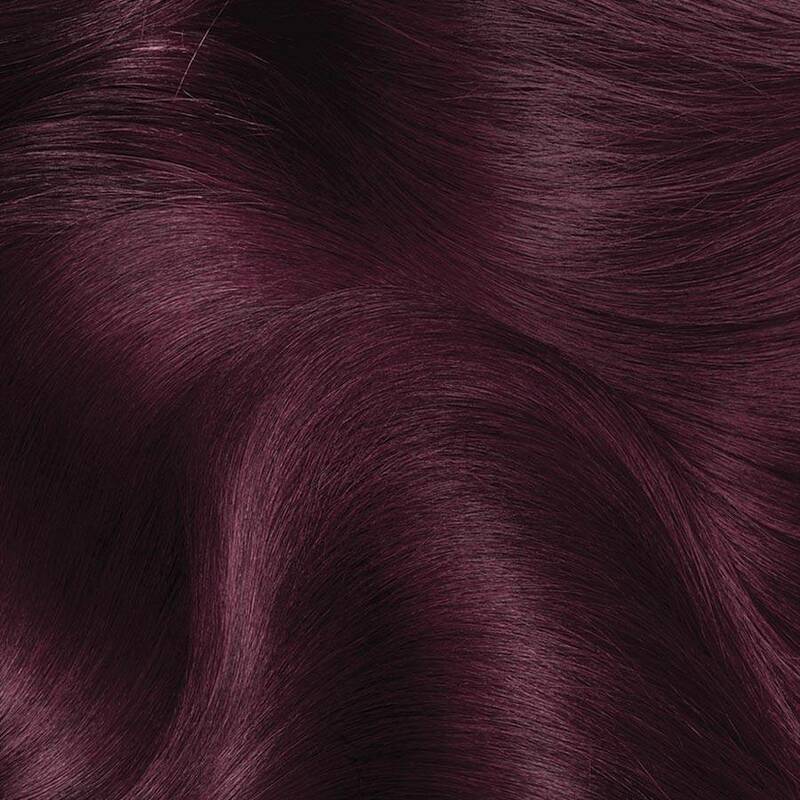 The 42 Nutrisse makes my hair feel silky smooth and when it is first done it is a deep purple when the light shines on it, which is what I love about it! The Color Sensation costs less but it is the worst color I have EVER used! Even Colorsilk (in another brand), though it is just as inexpensive, at least made my hair feel nice. 2 thumbs down for Color Sensation 3.26 Deep Burgandy! Rated 1 out of 5 by Phiee from Bad product Worst product!!!!! Dyed my hair and it tured more black!!!! It was supposed to be burgundy but it turned out to be freaking black more black than the normal color i had so annoying....!!! Never buy this product! Rated 1 out of 5 by chelsey3412 from Not at all what I expected I bought this a few days ago and its not what I expected at all. I was a light burgundy and when I used this product it turned almost black! Even in the light its not burgundy. I never wanted it this dark and i also had to use 2 boxes because i have thick hair! Rated 5 out of 5 by Linni from Great Results! Smells AMAZING!!!! I just used this hair color for the first time and my hair turned out EXACTLY how I wanted it. Beautiful deep burgundy! I recommend this color to everyone! Especially in the fall!! my hair is super damaged from all the dying but this stuff make my hair look healthy and so soft. Oh and it SMELLS AMAZING! Usually hair dye smells like chemicals bu this stuff really does smell great! And I love the conditioner! Ugh I can't get over how much I love this stuff!!! I will definitely be bying this again and recommending it to everyone I know! Rated 1 out of 5 by CassandraM from Didn't work me at all I wanted to dye my hair burgundy it was the first time i've ever dyed my hair and i was so disappointed. this Does NOT work on black hair. Every color except black. Sad. 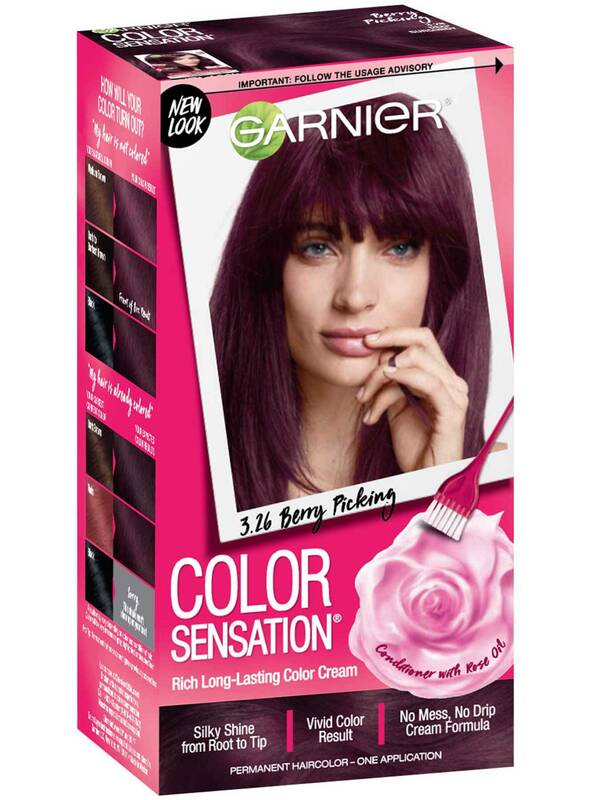 Rated 5 out of 5 by SassySanab from Great Product & Color I put this on Today and I love it . Easy application w/no mess and great coverage. Color came out as I expected dark plum burgundy. The conditioner could be a little thicker but I just added a little extra of my Granier conditioner and leave in conditioner when styling and it worked well. I will use it again...Really like it!